Say goodbye to the sweat, strain and boredom of exhausting workouts and discover how easy, energizing, and enjoyable exercise can be. Inspired by the ancient movement traditions of Russia, China, and Japan, TheraQi presents a sequence of dynamic, flowing joint movements that provide immediate benefit to your comfort and health. In as little as twenty minutes a day, this gentle, low-impact mobility routine will expand your range of motion, open up your joints, and revitalize your body and mind. TheraQi combines simple, proven, medically endorsed techniques drawn from yoga, dance, martial arts, and physical therapy, refined over a decade of experimentation and instruction. This unique, universal movement protocol is highly adaptable and appropriate for all ages, body types, and physical abilities, from patients recovering from injury or disease, to highly skilled professional athletes. A great alternative to yoga and stretching, the TheraQi sequence can serve either as a stand-alone workout or as a daily foundation for advanced athletic performance. However you use it, TheraQi will leave you looking and feeling stronger and younger as you transform your posture, balance, and overall health. 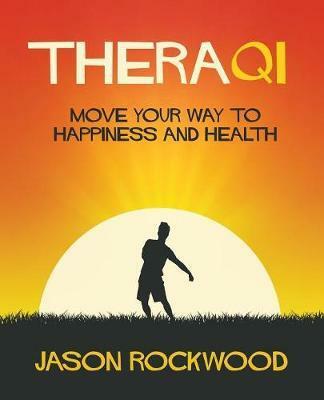 Try TheraQi today for thirty days and achieve a level of freedom and fitness you never imagined possible.